Hello Beauties! 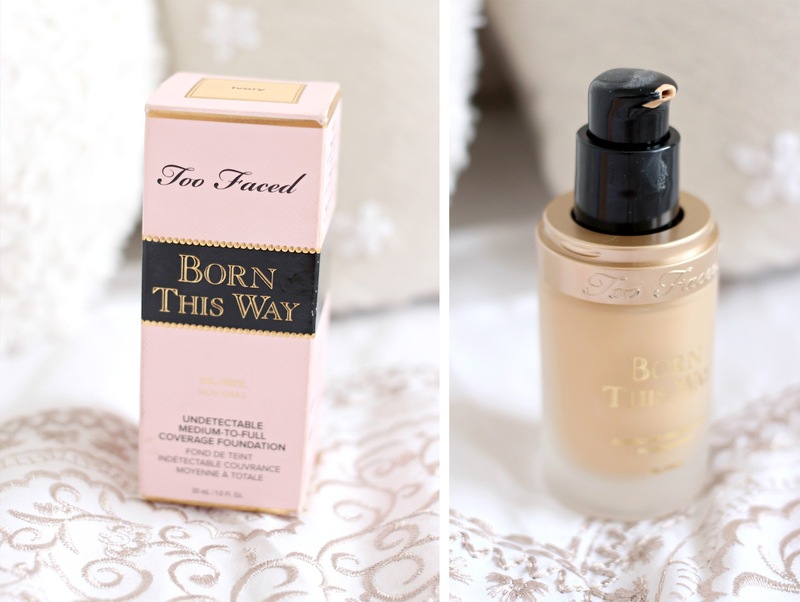 I hope you're all well and having a great week so far, today I'm back with another product I picked up while I was in the states earlier this month - the Too Faced 'Born This Way' foundation. Ever since the Born This Way foundation was released, it's been pretty hard to avoid the flurry of positive reviews it's received, so I just knew I had to try it out for myself. However, I decided to wait until I was in the US to pick it up for myself, as I couldn't help but notice the shade selection in Debenhams in the UK wasn't brilliant, and I didn't want to risk colour matching myself online. All three Sephora stores I visited were pretty well shopped, so the shade selection there was pretty rubbish too, but they definitely had a little more to choose from, and in the end I went with Ivory. I did notice that the shades in this range do run a little yellow, and having naturally pink skin, I did struggle a little bit so although Ivory is light enough, it's still slightly too yellow so a fair bit of blending is needed to make this work for my skin tone. Too Faced have marketed this as a full cover foundation, however it's definitely more medium -to-full, which is perfect for me as I don't always want everything to be covered, but this foundation does give me the option to easily and seamlessly build it up to achieve that full cover look on days when I need it most. 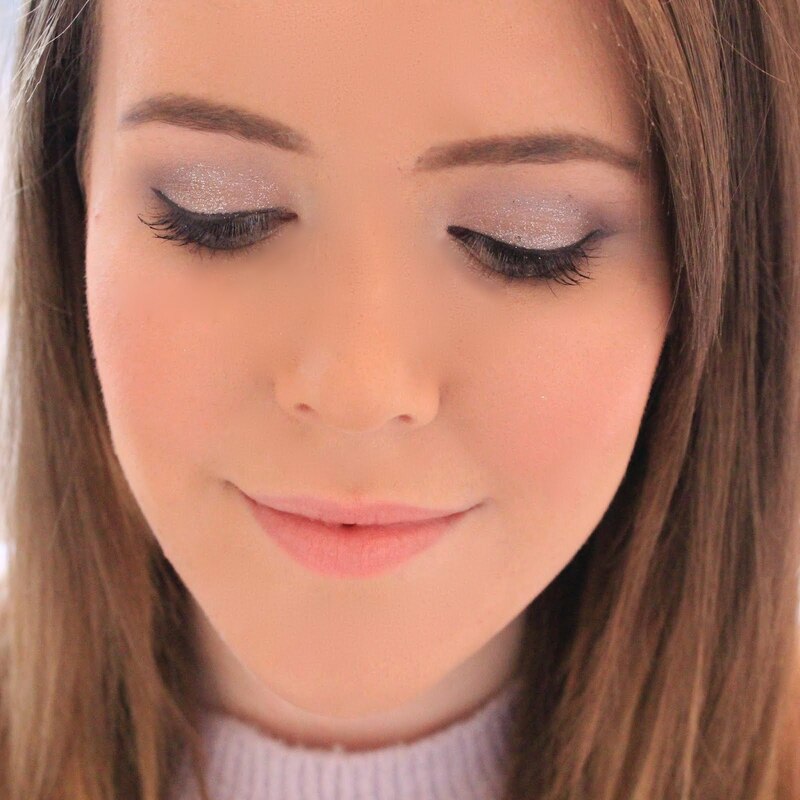 It's also incredibly easy to blend in, giving you that second skin appearance which is virtually undetectable in photos, so a great option for when you know you'll be appearing in a lot of photos or a night out with the girls. If you're looking for a more even texture to your skin, then the Born This Way foundation is definitely perfect for this. As I said, the foundation gives you that second-skin appearance and is pretty undetectable, but surprisingly this also extends to the texture of your skin when wearing the product. I really struggle with little bumps all over my skin and also large pores across my cheeks, and this foundation went a long way to covering these up and filling them in, if you will - a major plus point in my book, and definitely something to consider if you're suffering with large pores or acne scarring like myself. Too Faced claim that the Born This Way foundation is an oil-free foundation that provides undetectable, second-skin like coverage, leaving the skin naturally radiant. The formula is also infused with coconut water to lightly replenish the moisture levels in your skin, as well as alpine rose to improve the skin's elasticity and give you a brighter appearance. Also, last but not least, the foundation also contains Hyaluronic Acid, known for its brilliant ability to restore the skins moisture. Being an oily skinned girl, I was a little hesitant to try something so hydrating, but it's promises of remaining oil free sold me enough to give it a whirl, plus, I've been desperately trying to better moisturise my skin following two long haul flights. However, my doubts were realised with this one and unfortunately it was just that little bit too moisturising. With most foundations I'll get shiny and the oil will break through, but a little blotting and powder sets me back on the straight and narrow - but with the Born This Way foundation, it seemed that when the oil had broken through, there was just no controlling the shine. The foundation would look great immediately after blotting but it really wouldn't be long before my face was shiny once again, which is a bit of a pain if you don't want to spend all your time in the bathroom reapplying your makeup. So I'd have to say, if you've got oily skin then this foundation probably isn't for you...if you've got dry skin through I'd definitely recommend this as it was certainly very moisturising and comfortable to wear - almost like you're wearing nothing at all. Overall, I am pleased with this foundation and it's definitely a welcome addition to my makeup collection, however I think I'll be saving it for the winter months when my skin perhaps isn't so oily. At the moment I can't really wear this to work, which is honestly where I spend most of my time, and I wouldn't really trust it to withstand a night out on my skin (this would be different if I had dry skin, then it would be the perfect option) so I have no real occasion to use this at the moment unfortunately. Otherwise, this foundation would have been perfect, so it's such a shame. The Too Faced Born This Way foundation is currently available on their website (which now ships to the UK!) in 18 shades here. ive got combo skin so i can probably get away with it! Loved this honest review. I have dry skin and struggle to find a foundation that works for it....so I think I will keep my eyes peeled for this one! I definitely have heard nothing but good things about this foundation, and I'm glad it ended up working out for you as well! I definitely need to give it a go. I have very oily skin, so I guess I should skip this one. Haven't heard of this before but I would really like to give this a try!